Shopify is an extremely well-managed e-commerce platform which is not only affordable but easy-to-use and which is always ready to go right out from the box. It is not only a shopfront but much more than that. Shopify stores usually have fully-secure checkouts which allow the retailers to start receiving payments instantly while the feature Shopify Shipping takes out the legwork from the fulfillment of the order. Shopify can handle marketing by automating mails and creating target social campaigns on your behalf. 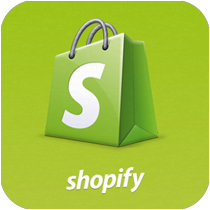 Shopify makes it simple to grow your e-commerce business. Here are few Shopify plug-ins or Shopify apps which you should install when you’re starting off with your e-commerce site. Edit Order: Edit Order makes it easy to edit a completed order. If you place an incorrect order, you can alter that order and this feature is extremely helpful for the customers who tend to place wrong orders about size or color or even the billing address. Bigger e-commerce giants usually say that it is essential for people to run your business and it is often a lifesaver when people change their order or need a different item. Order Printer: Who doesn’t love the idea of being able to print receipts, invoices and packing labels which are vital for e-commerce stores? Sadly enough, this capability is not built in Shopify as a main standard and hence the app named Order Printer is a necessary plugin for the store owners. The layout is customizable and in order to save time you can print whatever you may require in bulk. Audience Push: Audience Push is a vital app for all Shopify store owners who utilize Facebook advertising. Once you connect with Facebook, Audience Push will immediately update itself and Facebook Custom Audience with details of every new customer on the store. Unless you use this, you won’t know that this is indeed a big timesaver which can create a big difference in the bottom line. Persistent Cart: Persistent Cart saves your sales and this should be enough to tell you why you need this. You may even consider the fact that it boosts its user experience and gives many reasons to customers to keep coming back. Therefore, if you’re wondering about how to integrate plug-ins in Shopify in order to enhance the experience of the users, take into account the above names.